apparently here in the UK this edition got pulled just before release by the record company a few spare copies got given away on a local radio station for the first few people that called in at the time' I'm not sure why the record company decided on this maybe they thought it would not sell (like many decisions on eurodance tracks) i located sparse few copies and became out of print almost instantly. 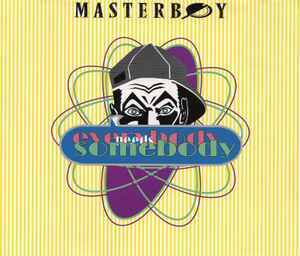 I JUST WAS GOING THROUGH SOME OF THE 1990'S EUROHOUSE TRACKS FOR MASTERBOY.AND I JUST LOVE THAT CLASSIC FOR THE MASTERBOY POSSE "EVERYBODY NEEDS SOMEBODY".CLASSIC BUT I LOVE IT THOUGH. NICE RAPPING,TUNE,BEAT,AND THE LADY THAT SANG THE CHORUS HAS SWEET PIPES! I HAVE ALWAYS BEEN A LOVER OF EUROHOUSE SINCE THE 1990'S.IT'S 2013 BUT, I STILL LOVE AND HAVE CLASSICS FROM CULTURE BEAT,LABOUCHE,TO NAME A VIEW ARTISTS.I ALWAYS LOVE THE DIFFERENT STYLES OF DANCE MUSIC FOR YEARS. AND AT 50YRS.OLD NOW,DANCE MUSIC STILL MAKES ME MUST MOVE MY BODY.